Non-profits, associations and non-governmental organizations often have international constituencies. 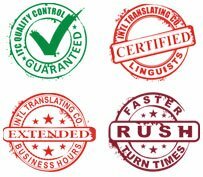 These organizations need translators that are socially and culturally sensitive and also intimately familiar with their target languages. In their communications with members, political elites or beneficiaries in other countries, non-profits and NGOs must be clear and precise in explaining their organizational goals and the services they offer.